June is Audiobook Month! Drawing to win a free book! To get Audiobook Month started off, Lee Ann is giving anyone who leaves a comment on her blog post two chances to win a free Audible download of her recording of Marilyn Monroe: My Little Secret by Tony Jerris. All that’s necessary is to leave a comment — even if it’s just to say ‘hi’ — on Lee Ann’s blog post here. Next Sunday Lee Ann will draw two names from the people who leave comments as winners of the book. Today is also what would have been Marilyn Monroe’s 88th birthday so take a chance to learn more about this American icon. 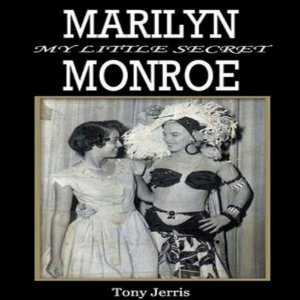 Posted by lahowlett on June 1, 2014 in Uncategorized and tagged audiobook, Audiobook Month, drawing, free audiobook, giveaway, Marilyn Monroe, nonfiction, Tony Jerris.